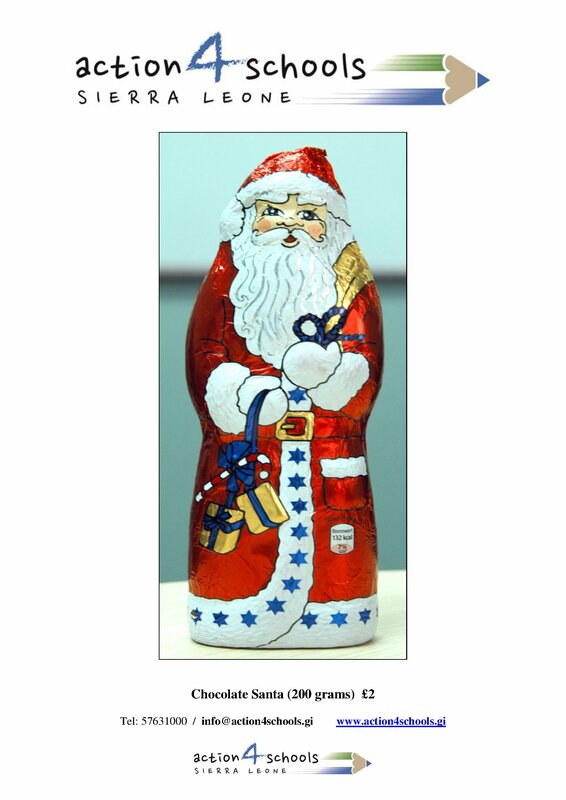 We will be selling our popular chocolate santas again this year, please support our fundraiser by placing your orders through email info@action4schools.gi or calling 57631000 All proceeds will be for our water well projects in Sierra Leone. 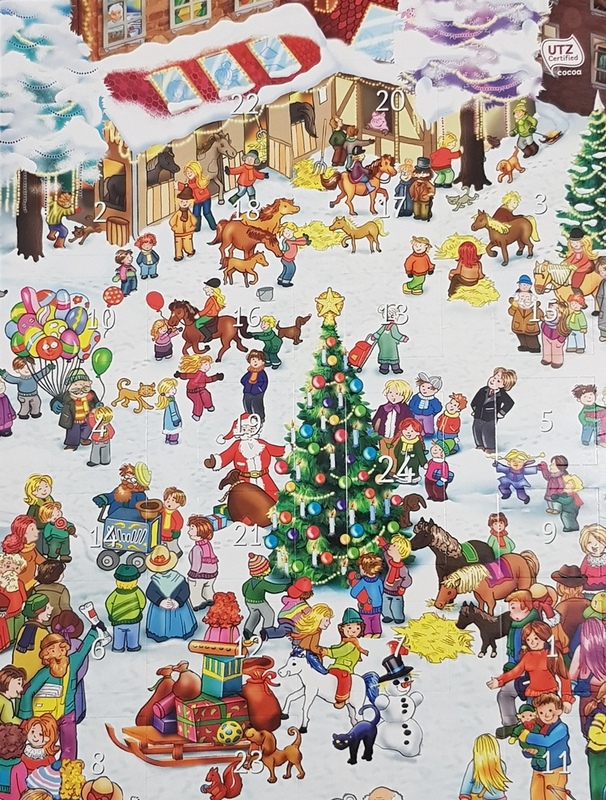 Calendars on sale at £2 – see below and take your pick ! Calendar No. 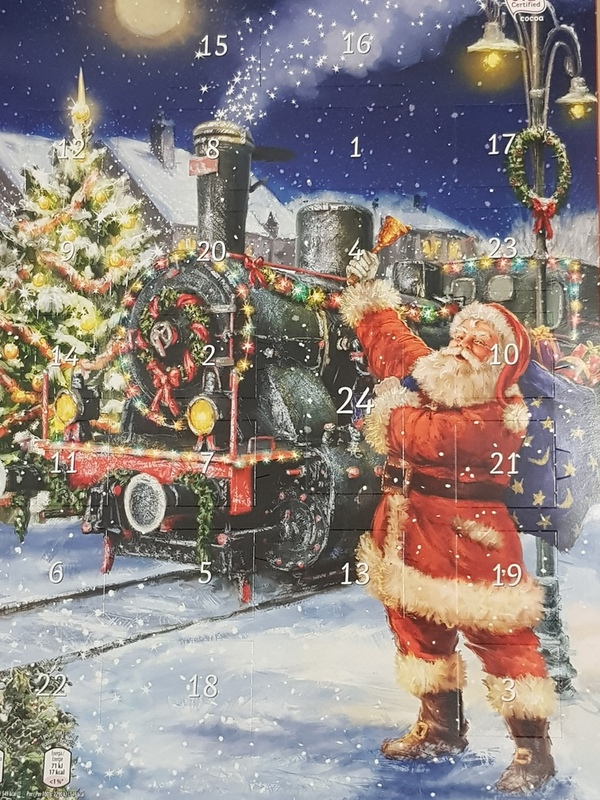 1 – Santa and train. £2 each – all proceeds for our water well projects. Calendar No. 2 – Christmas Tree. £2 each – all proceeds for our water well projects. Calendar No. 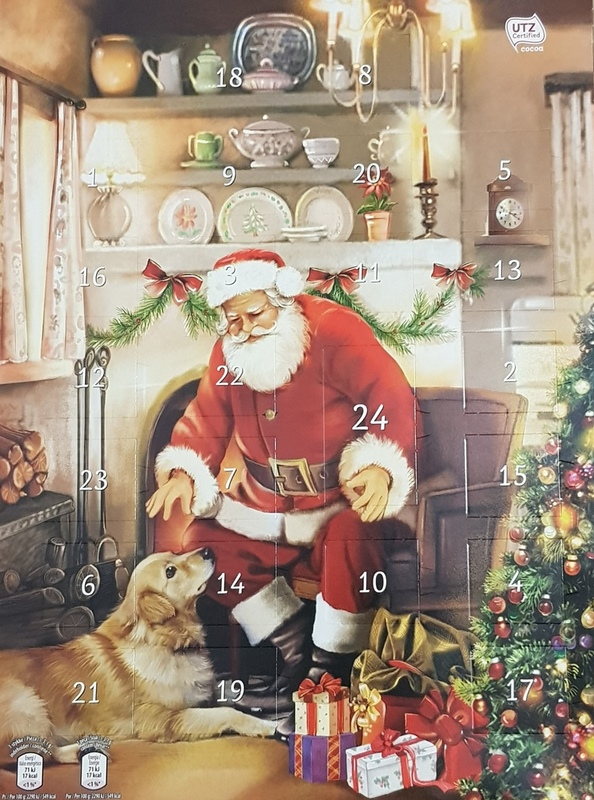 3 – Santa at home. £2 each – all proceeds for our water well projects.